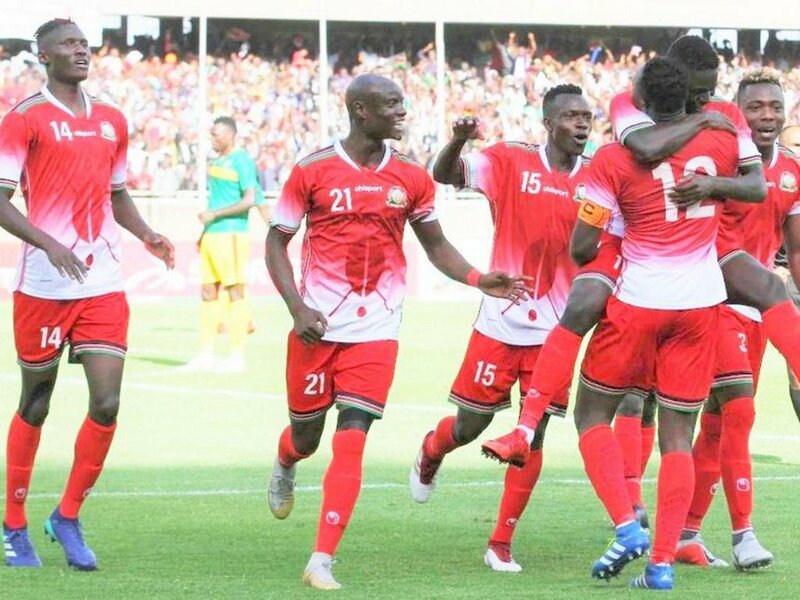 The Football Kenya Federation (FKF) has announced that the Harambee Stars will play four warm-ups ahead of the 2019 AFCON finals. Stars’ qualification was confirmed Monday by the Confederation of African Football (CAF) after Sierra Leone disqualification due to a FIFA ban. One of the friendlies will be a thanksgiving match at the Kasarani Stadium in March next year, FKF disclosed. “One of the games will be a thanks giving match at Moi International Sports Centre on March 26 against a side we will name later. This is the best way we can appreciate our dedicated fans,” the federation’s boss, Nick Mwendwa, told SportsPesa News. “We have chosen that date because the team will be full house after our last AFCON qualifying assignment in Accra, Ghana on March 22,” he added. The 32nd edition of the continental championship is slated for June/July 2019 in a yet to be determined country after Cameroon was relieved of the hosting rights.